Nicolas Terol has taken the top spot at the opening free practice for the 125GP in Jerez this morning. 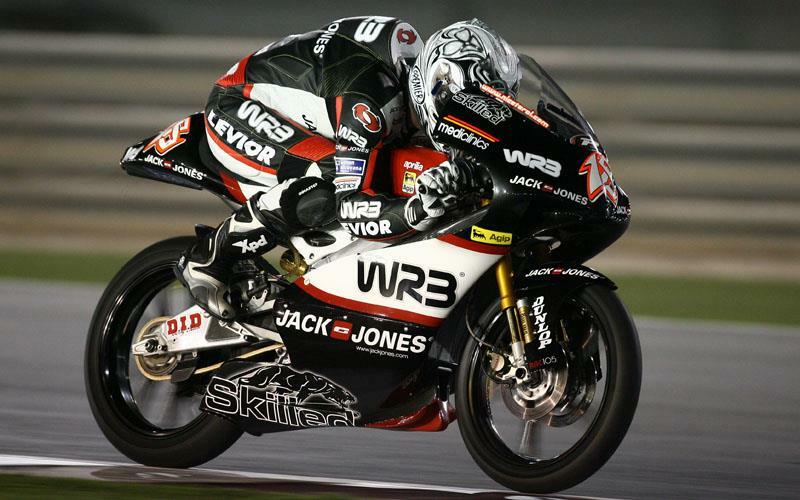 The Spaniard recorded a best time of 1:49.002 onboard his Aprilia at his home GP. Gabor Talmacsi was second on his Aprilia with a best lap of 1:49.522 while Simone Corsi rounded off an Aprilia top three with a best lap of 1:49.736. Britain’s top rider this morning was Danny Webb who finished the session in seventh. The 17-year-old recorded a best lap of 1:50.014 on his penultimate lap on the Aprilia. Scott Redding was the next highest placed Brit in 15th with a fastest time of 1:50.743 while Bradley Smith finished the session in 23rd after posting a 1:51.795 on his 12th lap of 16.